Many come in search of the Golden Coast. It’s seemingly perfect climate, white sands and great waves beckon millions from every inch of the globe. But by far the best way to explore the Gold Coast is by car, on an all coastal road trip. Find sun, surf and sand on a Gold Coast road trip and create memories that will last longer than your tan. 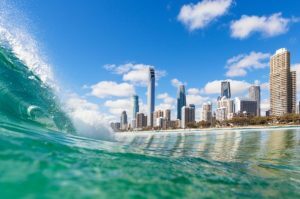 Here is what you should include in your Gold Coast road trip. There is little else that can put a damper on a road trip like car trouble. What a let down! So now that you are in the Gold Coast and ready to embark on your road trip, there is only one thing to get right before you ride off into the sunset – your vehicle. Contacting mobile mechanics in Gold Coast will give your vehicle that clean bill of health so that you can confidently start your road trip with no concern of car troubles. Queensland is known for its long days and endless daylight, but that doesn’t mean you should be driving through the night. Setting yourself up in some beach-front accommodation will give you your strength to endure another long and hot day on the road. And it’s hardly a hard sell, is it? Toasting the distance you have made with a sunset view over the ocean is something very special, not to mention getting up for some sunrise yoga on the beach before you bend back into the car. You would be sorely mistaken if you thought that Gold Coast only boasted one beach. Oh no, it has many beaches and each of them more beautiful and unique than the last. 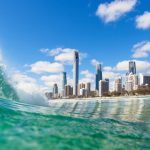 It is definitely worth hitting them all, but if time isn’t on your side visit; Surfers Paradise, Main Beach, Broadbeach, Mermaid Beach and Nobby Beach. When you visit these beaches, you will be astounded by how untouched they are while still being some of the most visited in the world. Each of them are close to dining outlets so that you can stop for a bite to each before or after you ride the waves. You are either a surfer, or a soon to be surfer. It looks like magic watching a skilled surfer take those waves, but they too were learners at one stage. Almost all surf schools pledge that you will stand on the board on your first lesson, and they are right. Choose a morning or afternoon session and take to the water. These surf schools tend to choose hidden beaches so that you are not interrupted or have any accidents on your board. All you need is a sun shirt or tshirt and your togs. What you may not know about the Gold Coast is that hosts many festivals throughout the year. Music festivals, art festivals and the odd food festival can be found at the Gold Coast. Always look at what is happening in the area before you plan out your road trip so that you can attend, or choose a quieter weekend that will give you an emptier beach and more affordable accommodation. Surfs up, and there is no better surf than the Gold Coast. Break up your road trip with surfing, beach walks, coastal clubs and festivals. There is a reason that it is in the top three most visited cities in Australia for international travellers. Nowhere can boast better climate, untouched beaches and fantastic eateries and accommodation. First get your vehicle in its best condition so that you can explore and experience all that the Golden Coast has to offer.